ReutersPrime Minister Theresa May faced calls to quit on Friday after her election gamble to win a stronger mandate backfired, throwing British politics into turmoil and potentially delaying the start of Brexit negotiations. Reuters UKPrime Minister Theresa May faced calls to quit on Friday after her election gamble to win a stronger mandate backfired, throwing British politics into turmoil and potentially delaying the start of Brexit negotiations. Prime Minister Theresa May faced calls to quit on Friday after her election gamble to win a stronger mandate backfired, throwing British politics into turmoil and potentially delaying the start of Brexit negotiations. Below is a running total for how many seats each party holds. The first results to be counted tend to be in geographically smaller urban constituencies, which often vote Labour. Many larger rural seats, which tend to elect Conservatives, will not report results until after 0400 GMT. 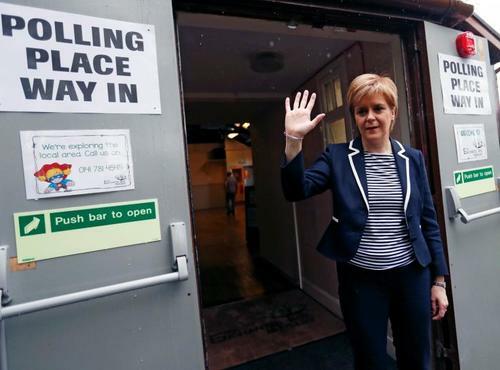 Reuters UKScottish National Party leader Nicola Sturgeon said the results of the election were disappointing for her party but were disastrous for Prime Minister Theresa May. 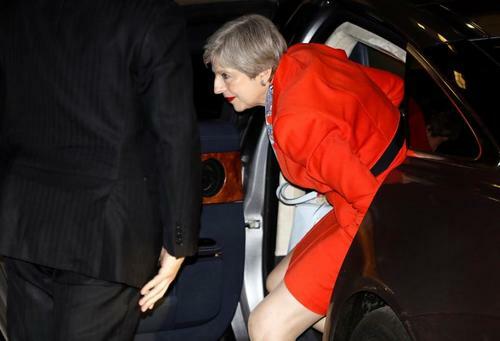 Reuters UKBritish Prime Minister Theresa May looks set to lose her parliamentary majority on Friday after a surprisingly poor election performance, throwing her own future into doubt. "I think Mrs May will have a good deal of support. She's only been the leader for under a year, she got it without any opposition, an uncontested election with support up and down the country. I don't think the Conservative Party is so fickle, or such a fair-weather friend as it would not continue to back the Prime Minister." "She's in a very difficult place, she's a remarkable and a very talented woman and she doesn't shy from difficult decisions, but she now has to obviously consider her position." "Theresa did put her mark on this campaign, she takes responsibility as she always does, and I know she will, for the running of the campaign. It was tightly knit group, and it was her group that ran this campaign." "I'm afraid we ran a pretty dreadful campaign, that's probably me being generous." "The change of heart on social care, I'm afraid, deeply flawed Theresa May, it did not make her look the strong and stable prime minister and leader that she had said that she was. That was a very difficult and very serious blow in terms of her own credibility." "I just want some stability. She is prime minister, she remains prime minister and the country has to come first." Prime Minister Theresa May is facing calls to quit after her election gamble to win a stronger mandate backfired, throwing British politics into turmoil and potentially delaying the start of Brexit negotiations. May had unexpectedly called the snap election seven weeks ago, even though no vote was due until 2020. At that point, polls predicted she would massively increase the slim majority she had inherited from predecessor David Cameron before launching into the Brexit talks. Find out more. 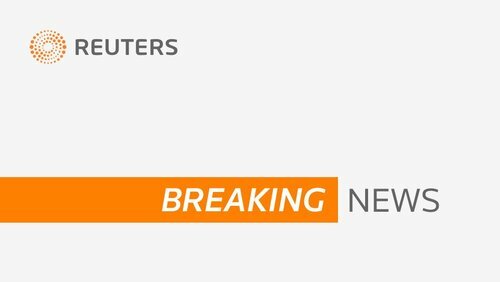 Reuters UKBritain may have to delay Brexit talks in the absence of a majority for Prime Minister Theresa May's Conservative Party, JPMorgan said on Friday. 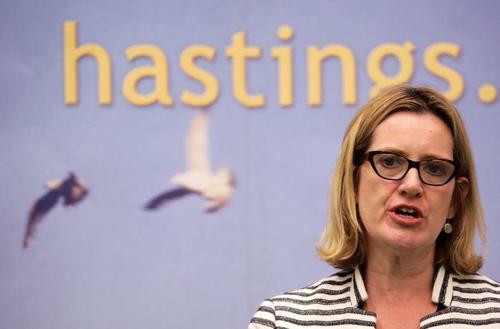 Reuters UKBritain's interior minister Amber Rudd just managed to hold onto her seat in Thursday's national election, but she saw her previous 4,796 majority slashed to just 346 votes as her Conservative Party was predicted to lose its majority. Reuters UKPrime Minister Theresa May was fighting to hold on to her job on Friday as British voters denied her the stronger mandate she had sought to lead the country into divorce talks with the European Union. As party leader, Corbyn unenthusiastically campaigned for Britain to remain in the bloc, but has said that Labour would deliver Brexit if in power, albeit with very different priorities from those stated by May. "What tonight is about is the rejection of Theresa May's version of extreme Brexit," said Keir Starmer, Labour's policy chief on Brexit, saying his party wanted to retain the benefits of the European single market and customs union. On a nerve-racking night for the Conservatives, interior minister Amber Rudd held on to her seat by a whisker, while several junior ministers were swept away. In one of many striking moments, the party lost the seat of Canterbury for the first time in a century. 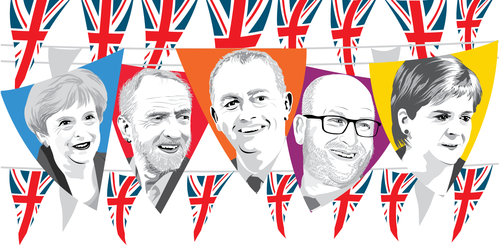 If neither main party wins a clear majority, markets will have to deal with considerable uncertainty over who will form the next government and what compromises the eventual prime minister will have to make to get the support of other parties. The Conservatives' positioning on Brexit and, to a lesser extent other domestic issues like austerity, makes it unlikely that it could find a willing coalition partner, making a Labour-led government the most likely outcome from a hung parliament. JP Morgan said that despite the uncertainty, that outcome could generate a rise for sterling. 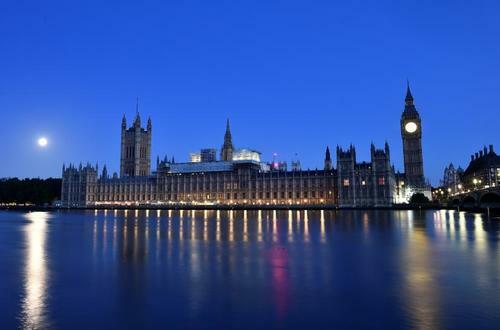 "A hung parliament would in more normal circumstances be viewed as quite a negative for sterling," analyst Paul Meggyesi said in a note distributed to media on Tuesday and sent to clients at the end of last week. "But in the post-referendum world, all political developments need to be viewed through a Brexit prism and an argument can be made that a hung parliament which delivered or held out the prospect of a softer-Brexit coalition of the left-of-center parties ... might actually be GBP positive." Failure to win an outright Conservative majority leaves Conservative PM May and Labour leader Jeremy Corbyn scrambling to find partners to support a new government. As incumbent, May has the right to make the first attempt to form a coalition, though her tough stance on Brexit is likely to make finding a suitable partner difficult. Until a new government is formed, May and her team of ministers remain in charge and retain their full legal powers to act on behalf of the country, although by convention they would be expected to avoid taking major decisions. May could attempt to lead a government without commanding a majority, relying on her opponents for support in parliament on an issue-by-issue basis. This will test the cross-party support for her pre-election pledges. Delays or outright blockages on this legislation would place huge doubts over how Britain would control its borders and trade with the EU after Brexit. May's plans still rely heavily on being able to pass legislation through parliament. Firstly to convert EU law into British law, and then to form new post-Brexit policy on issues like immigration and tax. The Conservatives could potentially turn for support to Northern Ireland's Democratic Unionist Party (DUP), a natural ally, projected to win 10 seats. 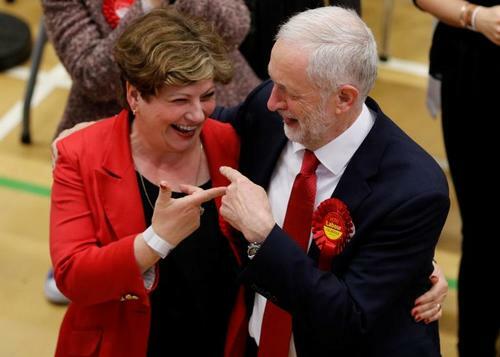 But Labour have potential allies too, not least the Scottish National Party (SNP) who suffered major setbacks but still won a majority of Scottish seats. ReutersPrime Minister Theresa May was fighting to hold on to her job on Friday as British voters dealt her a punishing blow, denying her the stronger mandate she had sought to conduct Brexit talks and instead weakening her party's grip on power. 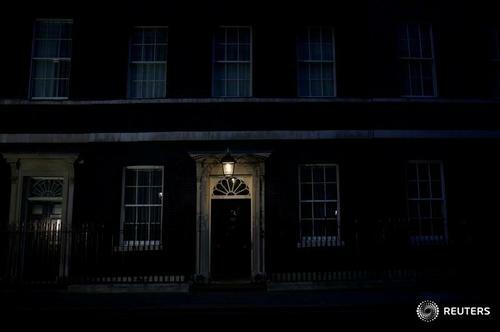 Downing Street on the day after the general election. 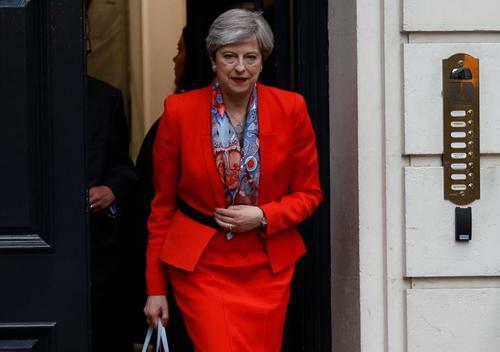 British Prime Minister Theresa May can no longer win an outright majority in parliament, Reuters calculations based on partial results of the election showed. 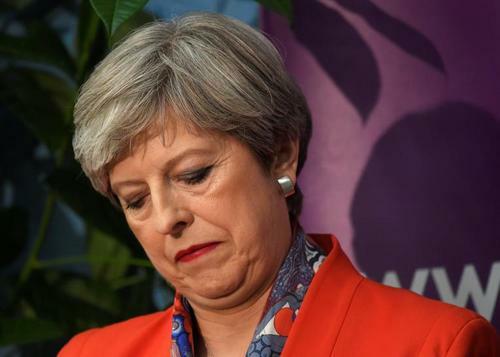 After the results of 633 seats were declared, May's party was on 308 seats and therefore no longer able to reach the 326 mark it would need to claim a majority in Britain's 650-seat parliament. ReutersBritain's European Union partners do not know what to make of an inconclusive election result that throws the future of Prime Minister Theresa May in doubt and may delay if not more seriously derail talks on Brexit. ReutersIt was never meant to be a high-stakes gamble for Britain's risk-averse prime minister, but Theresa May's attempt to strengthen her leadership by calling an early election has instead left her authority in tatters. Reuters UKSterling spiralled lower on Friday as British elections left no single party with a clear claim to power, sideswiping investors who had already weathered major risk events in the United States and Europe. 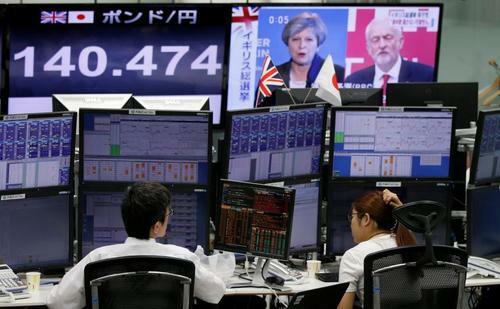 European stocks futures opened a touch higher on Friday after a shock UK election result looked set to throw Britain into fresh political turmoil, with Prime Minister Theresa May's party on course to lose its majority. Eurostoxx 50 futures were up 0.1 percent, while futures for Britain's FTSE were 0.4 percent higher, with the FTSE 100 set to benefit from a drop in sterling. CBI says it has never been more important for the next government to deliver an open, competitive and fair post-Brexit economy. ReutersFOLLOW RESULTS HERE: See the number of reported seats by each party. 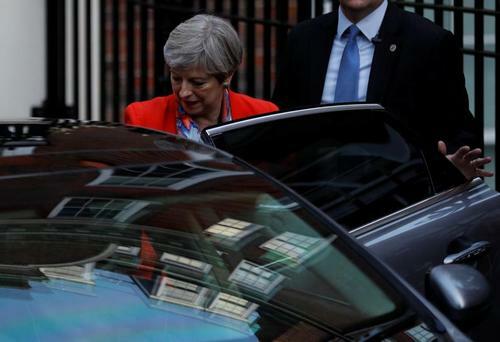 Reuters UKPrime Minister Theresa May was fighting to hold on to her job on Friday as British voters dealt her a punishing blow, denying her the stronger mandate she had sought to conduct Brexit talks and instead weakening her party's grip on power.